with Central Galleries, New York. 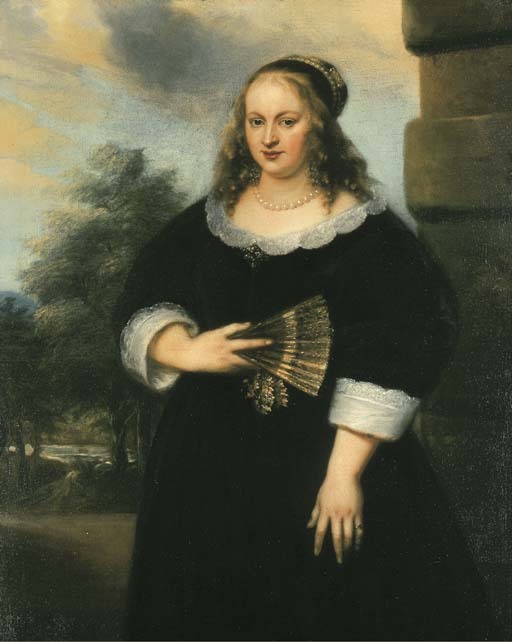 H. Schneider, Jan Lievens. Sein Leben und seine Werke, Haarlem, 1932, no. 293 and no. LXXXI (mistakenly given two catalogue numbers; the second states the work is 'not painted by Lievens'). S. Jacob, in the exhibition catalogue, Jan Lievens. Ein Maler im Schatten Rembrandts, Herzog Anton Ulrich-Museum, Brunswick, 1979, pp. 21, 115 and 122. C. Brown, 'Jan Lievens at Brunswick', The Burlington Magazine, CXXI, 1979, p. 745. J. Michalkowa, 'Nie tylko w cieniu Rembrandta. O Brunszwieckiej Wystawie Jana Lievensa', Biuletyn Historii Sztuki, 42, 1980. W. Sumowski, Gemälde der Rembrandt-Schüler, III, Landau, 1983, no. 1292 and p. 1769. Raleigh, The North Carolina Museum of Art, Rembrandt and his pupils, 1956, no. 67. Montreal, The Montreal Museum of Fine Arts, and Toronto, Art Gallery of Ontario, Rembrandt and his pupils: A loan exhibition of paintings commemorating the 300th anniversary of Rembrandt, 1969, no. 88. Tel Aviv, The Tel Aviv Museum of Art, Jan Lievens: The Sacrifice of Isaac, 17 November 1997-15 February 1998, p. 32, no. 2. A painter and draftsman of international renown, Jan Lievens was born in Leiden in 1607, where he began his studies with a local master, Joris van Schooten in 1615. Two years later, at the age of only ten, he went to Amsterdam to study with Pieter Lastman, returning to his home town in 1619. The period 1625-1631/32 was crucial for his development: during these years he worked closely with his contemporary Rembrandt van Rijn, another Leiden native. It is not certain if the two artists shared a studio: we do know, however, that they engaged in 'creative competition' -- painting the same subjects and figures, using the same models and techniques -- and that they painted portraits of each other on several occasions. Well-known pictures by Lievens from this period include his Portrait of Rembrandt, of c.1629 (Rijksmuseum, Amsterdam) and Job on the dunghill (National Gallery of Canada, Ottawa). In 1629, Charles I's agent in The Hague, Robert Kerr, bought paintngs from both Lievens and Rembrandt, which he later presented to the English king. In 1631/32 Rembrandt left from Amsterdam while Lievens departed for England in 1632. He remained in Britain until 1635, painting portraits of the royal family and other members of the court, and it was there that he met van Dyck, who made a portrait-engraving of him. A self-portrait, presumably from this period, is now in the National Gallery, London. In 1635 Lievens moved to Antwerp, where he worked as a portraitist for court circles, the church and the nobility. He adopted the elegant style then popular in Antwerp, and was particularly influenced by the work of van Dyck. In 1644 he established himself in Amsterdam, where his portraits remained much in demand among the city's elite. Important commissions strengthened his reputation: in 1650, together with Jacob Jordaens and Theordoor van Thulden, he was given the prestigious task of decorating the Oranjezaal at Huis ten Bosch near The Hague. In 1653-54 he spent time at the court of the Grand Elector in Potsdam, where he painted at least two chimney-pieces for the prince's palace in Oranienburg, and in 1656 he was commissioned to paint a Quintus Fabius Maximus for the new Town Hall in Amsterdam. He died in Amsterdam in 1674. The present work, dated 1650, comes from Lieven's Amsterdam period, when he was mainly painting members of the urban elite in the courtly Flemish manner that he had learned from van Dyck in particular. The sitter, who, to judge from her pearl necklace, is clearly a woman of wealth and prestige, is probably one such client, although her identity is as yet unknown. It is interesting to note that, while the background of trees is typical for Lievens, the rusticated wall is found in only one other work by the artist, a drawing of a portrait of Andries de Graaf in the Tylers Museum in Haarlem.